Have you taken last week’s home equity suggestions into consideration? Now is the time to start those important improvements before the market begins to bloom this spring in your neighborhood. Our equity recommendations included looking into homes on the market that have that “WOW” factor. Whether it’s the wall color or a new furnace installation, you want your home to stand out as the best on the block. We have you covered. 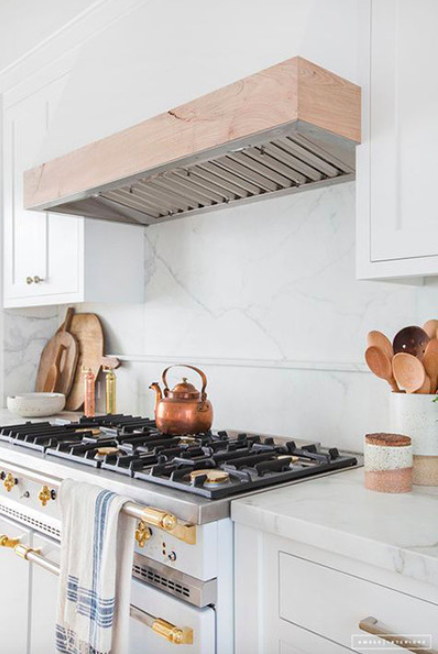 Below is a compilation of home trends emerging in 2018 that were included in Pinterest’s top 100. Pick your favorite from the bunch and find ways to integrate them into your home improvements on those long winter days. Come spring, your house will be new, improved and ready to hit the market. The time to mix gold, silver and rose gold is right here and right now. This concept of mixing metallics has always been frowned upon; especially in your home. 2018 is the break through year to experiment with combinations of metallics to spice up your living areas. No longer does your silver faucet have to match the gold mirror hanging above. As long as this trend is executed in good taste, you can give your bathroom or kitchen a new, refreshing look. The iconic 70s look of terrazzo floors is making its way onto walls and backsplashes in both the kitchen and bathroom spaces. The texture consists of indented colored craters that look best when neutral. However, you don’t want too much terrazzo. This trend is most commonly emerging in small doses that you can find within home decor and wall accents. Pro tip: Terrazzo isn't the only trendy resurgence popping up on walls this year. Check out peel & stick wallpaper that has become quite the accent wall favorite. It’s not often that your ceiling gets a fresh coat of paint. This year Pinterest is getting creative by including statement ceilings in their top 100 trend round up. This is a simple way to add that “WOW” factor to a dull, white room in your home. With the right hue, you can make an important room in your home stand out from the rest. Herringbone patterns are unique in that they give a room texture through the simplicity of their organization. This pattern is best used by homeowners looking to dip their toes in modern decor. 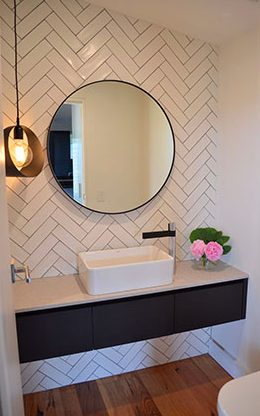 The herringbone pattern is executed best as tile backsplashes, wooden floors and wall decor. The days of small, DIY collage arrangements on your walls are coming to an end. While there are ways to incorporate these arrangements on smaller walls, Pinterest is suggesting large wall art to consume those bigger blank spaces. This wall art can make the room appear larger if you select the right piece to fit with the room’s aesthetic. Pro tip: Adding any size mirror to a room makes the space look larger and therefore appears more enticing to buyers. According to Pinterest, the wall color of 2018 is sage. This comes as no surprise considering tall plants and small succulents became acceptable as home decor in every space this past year. This wall color is the perfect neutral whose shade can made a room look brand new when it’s the right hue. Other popular neutrals include Sherwin William’s Silverpointe and Benjamin Moore’s Chantilly Lace shown below. When giving your walls a neutral makeover with white or light grey, remember to incorporate an accent color that is consistent with the look and feel of your home. Several of the suggestions mentioned above include color that can help improve buyer’s first impression of a room. Your home is subject to first impressions; some great and not so hard to accept. Make the feel of your home unique to it's layout. Play to the features of your home that make it special and unique. Homes in 2018 are embracing the modernity of the times. If some of the above suggestions are too modern for your taste, mix it up a bit and find ways to incorporate these upcoming trends into a feasible fit for your space.